Norcal Ag Service delivers and spreads two types of Calcium Sulfate/ agricultural gypsum and gypsum blends as a organic soil amendment and soil conditioner by the truckload throughout central and northern California. 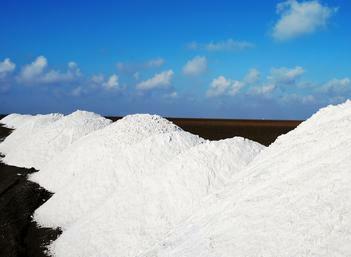 Bulk gypsum orders are delivered by end dump semi's or high side transfers when needed. Orders are processed within 24 hours of receipt. Gypsum is calcium sulfate. The most common form of it is the dihydrate which means that each molecule of calcium sulfate has two water molecules associated with it. It is expressed as Ca(SO4)2(H20). The other form called gypsum anhydrite has no water. Regular use of gypsum is essential to the sustainability of most irrigated soils. Irrigated land eventually leads to sodicity and salinity unless extreme care is taken. Gypsum is a key ingredient for the maintenance of agriculture on many types of soil and over a wide pH range, including sodicity. Gypsum, in addition to prevention and correction of sodicity, include: greater stability of soil organic matter, more stable soil aggregates, improved water penetration into soil, and more rapid seed emergence. For many reasons gypsum can be considered to be a farmer's best friend. Some of the reasons are multiple and interrelated. Call Today for delivery pricing. Norcal Ag is the gypsum supplier you can count on.